After years of discovering, and writing about indie games, I have since 2015 decided to combine my research on cities, geography and urbanism, with my love of games and game making into what I like to describe as game urbanism. As the application, that is, of real life planning and geographical thought and practice to the exotic, imaginary, or even realistic urban spaces of gaming. In the past few years I've worked on several commercial games, have researched the ways geography bends around gameplay (and vice versa), have given quite a few talks, and have written several articles on game cities and urbanism. Professional work aside though, I am also trying to deepen my research, help game & level designers understand the basics of urbanism, and cover more aspects of this wide (and deep) subject in my ongoing series of articles and talks. What's more, I do aim to keep on making freeware games with a focus on game cities and intriguing urban environments, and of course keep on helping out with such ambitious freeware projects as Nékromegà. As though my available time is far from infinite, and travelling around Europe to talk at events costs quite a bit, I would deeply appreciate your kind support. The plan is really simple. I aim to write as much as possible about cities in games (my articles are collected here), talk about cities around the world (my talks), and create city-focused freeware games and virtual urban worlds. 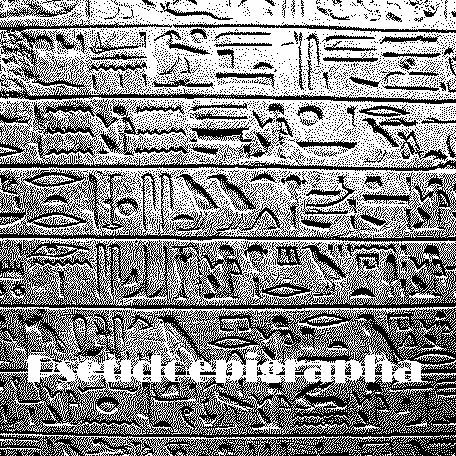 I'm currently focusing my work on the ancient Egyptian urban remnants of Pseudepigrapha (a text adventure), and am very slowly working on the hundreds of weird cities a still-TBA and most probably freeware, possibly illustrated interactive fiction will require. Other, less texty projects, not unlike point-and-click adventure Earthling Priorities by me and the utterly amazing team consisting of Daniele Giardini, James Spanos, and Chris Christodoulou, are also being considered, and the preliminary test for a voxel-based cyberpunk city are going well. Ah, glad you asked! Do you feel like I should be able to spend more time writing articles and guides about game cities? Would you be interested in finding out more about immersive urban illusions? Is my work worth a cup of coffee every 30 days? Well, that's all I ask: your support to allow me to focus more or what I love, and hopefully create some unique, helpful, and enjoyable content for people to read and play. The chance to really spend the hundreds of hours required to create things I hope you'll love and appreciate. A small donation of $3-$4 a month will help support my work and, hopefully, bring about some completely new interactive worlds and several truly useful articles! Should you be willing to pledge a bit more, well, thank you so much! That'd be wonderful and extremely helpful, and I'll try to reward you to the best of my abilities! Ever since the first days of January 2006, back when I started Gnome's Lair at gnomeslair.blogspot.com (one of the first indie focused blogs, if I may say so), I have discovered, played, written about, and reviewed hundreds upon hundreds of indie games. From freeware platformers and retro remakes to commercial adventure games and wildly innovative bits of oddness, I've loved all sorts of games and have done my best to cover them on a variety of sites and publications including Rock Paper Shotgun, IndieGames.com, Warp Door, Adventure Lantern, Retro Treasures, Gamasutra and Gnome's Lair. I have also worked on games myself (Droidscape: Basilica, Droidarcade, Workers in Progress, and Workers In Progress SE: Progress Harder), while curating the free section of IndieGameStand, and the strictly indie and DRM-free Bundle In A Box bundle. Yes, the very same bundle that ran the Indie Dev Grant and helped such games as Maia, Under The Ocean and Courier of the Crypts evolve. I have tried to help others create cool things (I did for example support Locomalito with the names in The Curse of Issyos, and play-tested Pacian's Superluminal Vagrant Twin) too, and do still try to spend some time on my dear ZX Spectrum Hub and Impish Words, Spirited Games facebook pages, though to be honest my game journalist days are definitely over. "I think few people have done so much for indie games - and an amazing variety of indie games at that, from huge hits to unknown gems - while taking so little credit for their work. Loads of enthusiasm and humour, very little ego." "Gnome was literally the first person to ever write about my stuff, talking about the flash games I was making at university a decade ago. He does excellent work uncovering devs and games, often long before mainstream games press gets a whiff of them. A valuable and cool chap." "Besides being one of the nicest dwellers of the Internet, Konstantinos is a restless supporter of indie games. His popular site Gnome’s Lair is a haven for curious and remarkable titles that otherwise would've been destined to obscurity. The indie community is in debt with him." "Calm, pleasant and wise, Gnome has been curating indie games for as long as I've known they existed. He has an amazing eye for point & click adventures, something I've frequently been jealous of. More importantly, Gnome isn't an armchair journalist. He has helped organized funding for important matters, assisted indie developers from a hands-on perspective, and worked tirelessly even when the money just wasn't there. He's a wonderful soul who deserves your Starbucks money, damn it." "I'd donate to this just to get Gnome to remove his pixelized monocle, and help him achieve a career in modeling. It helps he's done great things for indies since the days of indygamer.blogspot.com which predates the modern indie uprising and which was the precursor to the prolific indiegames.com site run by Tim W. Help him so he can continue to help as many indies as possible." "Konstantinos has a tremendous respect and passion for indie games. At the risk of sounding cliche, he really lives and breathes the indie game scene and thrives in discovering new, interesting, and often obscure gems. Add to that a deep love of the adventure genre, a humble and kind personality and a witty writing style and you have a unique, individual voice that should always be here, encouraging us to discover something different. " Thanks a ton for reading this, and thanks for all the support during the past 10+ years. Should you want to ask me about anything or suggest something, please do find me @gnomeslair on Twitter. Supporter! You have my big, huge thanks and I will be more than happy to give you a shout-out on twitter and/or facebook complete with a link to your site and everything. Obviously a heartfelt thank you with a shout-out thrown in, and you'll also get beta access to any game I'm working on (should you so choose). Oh, and you will be credited in any of the patreon-supported games I release. Plus you get any books I release for free (in PDF). Thank you; a lot! You get all of the above, can choose a game cities related subject of your liking for me to cover in a detailed article, and will get a copy of every commercial game I release in the future for free. PDFs of any books I work on too, and any cool extras I can think of. Also, you'll be credited in all my patreon-supported games as a major supporter. Yay! I will be writing at least one game cities article per month, and releasing one freeware game per year.